A peace convoy of vehicles. Organizations such as Roots & Shoots, an international environmental and humanitarian program for youth, show their support for the event on an annual basis. Young people involved in Roots & Shoots may engage in activities such as crafting giant peace dove puppets from re-used materials and flying the doves in their communities. People from diverse religious and spiritual backgrounds also commit to organizing an International Day of Peace Vigil. Some groups observe a minute of silence at noon in every time zone across the world on Peace Day. The dove is a symbol often associated with the International Day of Peace. 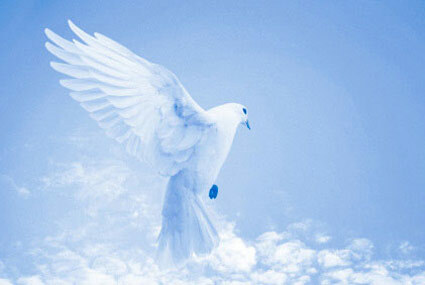 In Judaism, Christianity, and Islam a white dove is generally a sign for peace. The dove can also represent “hope for peace” or a peace offering from one person to another, hence the phrase “to extend an olive branch”. Often, the dove is represented as still in flight to remind people of its role as messenger. The UN’s International Day of Peace is a global observance and not a public holiday. It is a day when nations around the world are invited to honor a cessation of hostilities during the day. A UN resolution established the International Day of Peace in 1981 to coincide with the opening of the UN General Assembly. The first Peace Day was celebrated in 1982 and was held on the third Tuesday of September each year until 2002, when September 21 became the permanent date for the International Day of Peace. The assembly decided in 2001 that the International Day of Peace should be annually observed on September 21 starting from 2002. By setting a fixed date for the International Day of Peace, the assembly declared that the day should be observed as a day of global ceasefire and non-violence.